Hall worked for Lexus and Toyota before joining Hyundai. 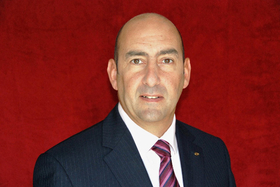 Hyundai has appointed Mark Hall as new marketing director for its European subsidiary. A former Toyota executive, Hall, 49, will be based at the Korean automaker's European headquarters in Offenbach, Germany. He will be responsible for all elements of the marketing mix at Hyundai Motor Europe, including product marketing, advertising, brand development and public relations, the company said in a statement. Hall has 20 years of experience in the automotive industry. He most recently was the head of product planning and marketing for Lexus Europe, having previously held various positions in sales and marketing with Toyota at a European level and in the UK.